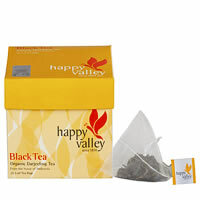 This tea has a sweet and smooth flavour, with a light and bright liquor. 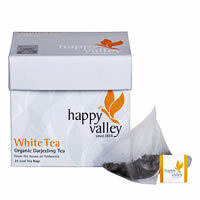 Organic Darjeeling Tea from the highest tea estate in Darjeeling, at a height of 6400 ft MSL. 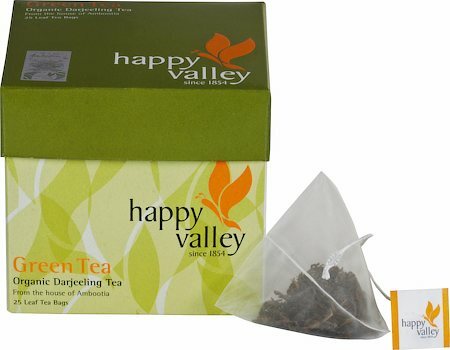 Being the 2nd oldest tea estate of Darjeeling, the tea bushes in the Happy Valley tea estate are very old; minimum age is 80 years, and some are 150 years old, with minimal plantation in recent past. The healthy bushes are nurtured under Bio-Dynamic Standards of Demeter Bund e.v., Germany and the International Organic Standards. 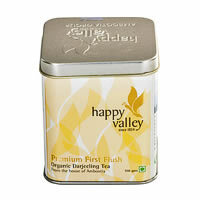 The vibrant bushes, nurtured by the misty mountain air and pure Himalayan water, are flush with the finest leaf. Organic practices followed at the farm enhance the inherent quality of the procedure.